St Columban’s Mayfield was founded by the Dominican Sisters. In 1917 when Bishop Dwyer, Bishop of Maitland invited the sisters to establish a school in North Waratah, he said that the people were crying out for a good education for their children. The sisters purchased land on the corner of Kerr and Bull streets Mayfield from Mr Julian Windeyer on 15th April 1917. On the 16th April 1917 a Primary, secondary and boarding school was opened with 50 students. The school was named San Clemente after the Dominican Church in Rome. Within a year the student number had increased to 107. In 1919 the sisters purchased a property on the corner of Crebert and Havelock streets, to meet the growing needs of the students. The purchased property “RedCliff’ became the new San Clemente. 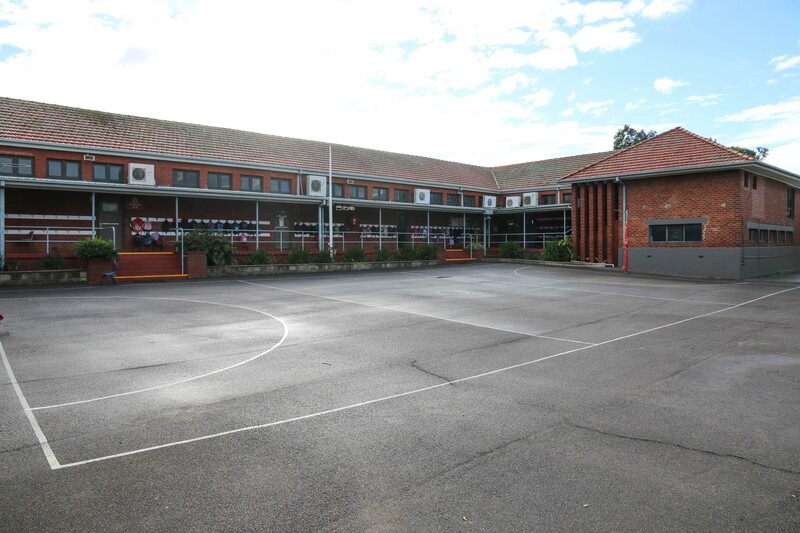 The Primary section of the school remained until 1922 when it was moved to the present site, as sheds. The school was named St Josephs, by then parish priest, Father McCormack. A foundation stone was laid in 1926 on completion of the school building which existed of the stage of our hall and the classroom next to the hall. This was both church and school. Once again the school name changed to St Columbanus to distinguish it from St Joseph’s Merewether. In 1954 Parish Priest Father Norman Withnell decided to change the school name to St Columban’s – he said it needed to be anglicised. There have been many more additions and building projects that made St Columban’s what it is today. One addition was a new canteen in the form of an old tram. This tram remained from 1954 until 1993. The most asked question of ex-students is “Is the Tram still there?”. In 1993 Sacred Heart Hamilton and Christ the King Mayfield West were closed and the children from these schools joined St Columban’s. In 2011 there was another change for St Columban’s. With the help of the Federal Government’s ‘Building the Education Revolution” a new library was built, a new administration area and refurbished classrooms were upgraded. 2017 the school celebrated its Centenary. A memorial garden was built and the grounds were upgraded. 2018 new toilets and a brand new infant’s corridor have made the school bright and inviting.